It’s time to change the hair-care industry. Beauty’s least innovative category, hair care has until recently operated business as usual, with salons and retailers as the key gateways for consumers. While this may still be the case, hair care is slowly starting to experiment with new business models and product and service innovation. The estimated worth of the hair-care market is $87.7 billion, according to Statista, and is expected to reach $211.1 billion by 2025. (The shampoo segment is the largest, with market share close to 35 percent, followed by hair color and hair conditioner.) This growth can be attributed to the selfie trend and today’s obsession with youth: A majority of the global population has become beauty-conscious and inclined to buy beauty-enhancing and age-defying products. The hair-care industry has traditionally been bifurcated, with lower-end, mass-market brands sold through drugstores, and high-end brands sold through salon networks and stylist recommendations. The market gap is still wide, and newcomers are eager to fill it through the range of DTC models. Despite this eagerness, the hair-care innovation themes are mostly riffing off functional innovation. Brands like Madison Reed and Oribe improved product ingredients. Function of Beauty invested in extreme product personalization. Curls is focusing on an underserved customer segment. Scalp care is gaining momentum. 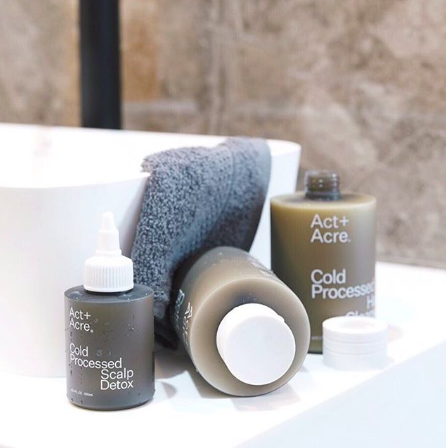 The outcome of this functional benefits-focused approach is that consumers think of their hair care in terms of the specific solutions to the specific problems versus forging a higher-order emotional connection. Knowing about the high-precision algorithms responsible for creating just the right product for one’s hair is emotionally unexciting, except to engineers. Hair care is famously linked to our self-perception, confidence and identity, and high-performing products are certainly must-haves in achieving one’s #hairgoals. The danger, industrywide, is catering to low expectations. For a sustainable and defensible competitive advantage, modern hair-care brands need to go beyond. In hand with consumers’ emotional exhaustion is the problem of the lack of competitive differentiation. If everything is wellness and everyone is in the business of wellness, farm-to-hair becomes the customer expectation, not a unique selling proposition. To create long-term defensibility, hair-care brands have to look outside their category. Consumer behavior offers a clue: If lessons from the fashion broad beauty industries are any indication, consumers seek to personally connect with the brands they like, be part of their identity networks and share their personal preferences with others. Hair is a natural marker of self-expression and the new social currency of one’s emotional, physical and spiritual standing. It reflects one’s social status with the same precision that clothes once did. If we used to envy a person’s clothes, we now have #hairenvy. This easily translates into lifestyle envy; when one person’s hair is a clue to their coveted, elevated lifestyle that combines physical and mental enlightenment. Yes, it’s great to have hyper-natural, mega-customized products, but it’s even better to have guidance and purpose in one’s day-to-day life. Regardless of the category, brands that convey passion and purpose, and stand on social and cultural issues, win. Modern consumers see brands as an important conduit for expressing themselves, and they gravitate toward companies aligned with their core beliefs. Passion, purpose and a point of view beget credibility. They are inimitable and durable competitive advantages, and the unique selling proposition that consumers will never tire of. As successful market entrants from Rent the Runway to Glossier to Act+Acre have demonstrated, people with passion create companies that are tangible expressions of things they can’t stop thinking about. They gather and create communities around these shared obsessions. In addition to the doubtless product and service innovation, they also strike a universal emotional cord allowing people around the world, regardless of their cultural nuance, to come together. In the highly emotionally charged hair category, product innovation needs to be accompanied by innovation in brand building.